I'm not leading with Anderson today, probably the only time that is going to happen. 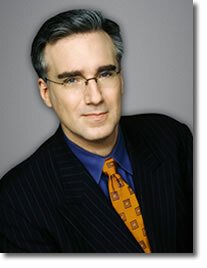 My other favorite news source, Keith Olbermann, had the best show ever last night. Besides Bill O'Reilly being named last night's worst person in the world, Keith's show also had one of the best exit strategy lines in history. Howard Fineman, MSNBC's Iraq expert, said that George W. will never cut and run but he might trim and tiptoe. TRIM AND TIPTOE! Brilliant! Last night was not even close to the best of the newly expanded 360. Lots of rewarmed interviews and Tom Cruise, Scientology stuff (I'm so over Tom Cruise). But the thing that made my night and gave me hope for a better tomorrow is that the powers in charge have finally listened to our cries for better music. We heard some Radioheads in the background along with other new and highly enjoyable music. At one point AC said Jeffrey Tubin would be playing bass and Erika should get out her tambourine. He does listen. Now I've got my fingers crossed that he will do the interview I requested with Robert Dreyfuss author of "Devil's Game: How the United States Helped Unleash Fundamentalist Islam" . Fascinating subject and perfect for those deep thinkers who watch 360. I'm really looking forward to tonight's show with Bill Clinton. Can I listen to what those two are saying or will my mind focus on all their gorgeous grayness?